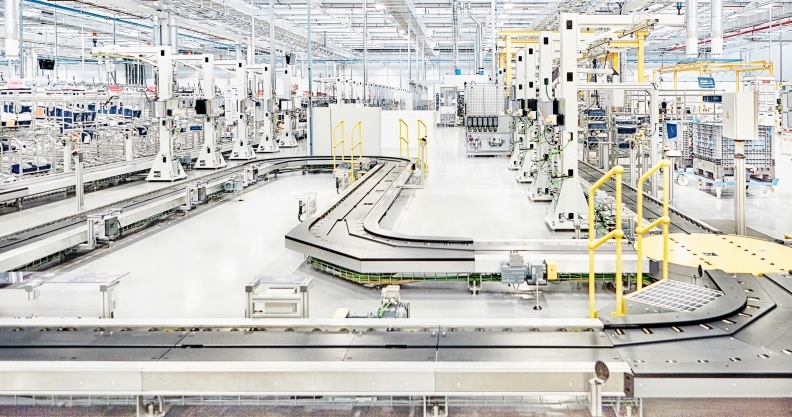 The new $750 million JLR engine plant near Wolverhampton, England. Jaguar Land Rover moved another step closer today to gaining greater control of its destiny with the opening of its $750 million engine plant near Wolverhampton in the U.K.
It’s the first time in a generation that either brand has built an engine of its own design in one of its own plants, the company said today. JLR has been buying its engines from former parent Ford Motor Co. since it split from the automaker. When Ford sold Jaguar and Land Rover in 2008 to India’s Tata Motors Inc., part of the deal included continued supplies of Ford powertrains while JLR developed its own and built a factory. The project got underway in September 2011. The plant will build JLR’s new family of Ingenium gasoline and diesel engines. The first engine is a 2.0-liter turbodiesel that will be used in the upcoming Jaguar XE compact sport sedan. The XE launches in the spring in Europe and in 2016 in North America. Ingenium engines are likely to see action in Land Rover’s Range Rover Evoque and Discovery and several other models. JLR’s gasoline and diesel engines share the same basic architecture and have been designed for flexible manufacturing, enabling the company to adjust production to meet consumer demand. They have also been designed so that the base 2.0-liter displacement can be made smaller or larger without having to do extensive redesign and calibration work. 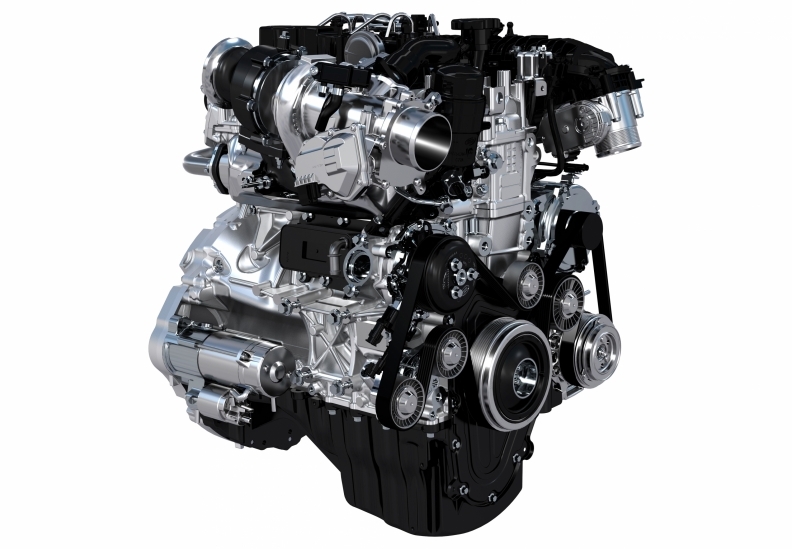 The 2.0-liter turbodiesel Ingenium engine, which will be used in the Jaguar XE compact sport sedan. The car will debut in the U.S. in 2016. Each cylinder is 500cc in displacement, so if JLR decides to make 1.5-liter three-cylinder or 3.0-liter six-cylinder versions, for example, it can use the same production equipment and many of the same internal parts. All variants of both engines will be turbocharged. JLR engineers made friction reduction and lightweighting a priority in the design. Low friction roller bearings, for example, are used on the cam and balance shafts. “Jaguar and Land Rover is a business driven by design, technology and innovation, and this investment and level of job creation is yet further evidence of our commitment to advancing the capability of the UK automotive sector and its supply chain,” JLR CEO Ralf Speth said in a statement. The plant will employ 1,400 workers and have an annual capacity of about 300,000 engines. In a presentation earlier this summer, JLR officials said that although the company has not built an engine in-house in a generation, it never lost the ability to design engines. The supercharged 3.0-liter V-6 available in the Jaguar F-Type sports car, for example, is a JLR design that is built in a Ford plant. Even after the new plant is in full production, JLR will continue to buy some of its larger engines from Ford, including a 4.4-liter diesel that is made by Ford for Land Rover in Mexico.